The Samsung Galaxy S Blaze is an Android smartphone with 4G data speed capability and a speedy 1.5 GHz processor. The Samsung Galaxy S Blaze features a 5 megapixel camera with HD video capture plus a front-facing 1.3 megapixel camera for video chat. The Galaxy S Blaze also offers TeleNav GPS Navigator for hands-free, voice-guided driving directions, 3D maps and more. 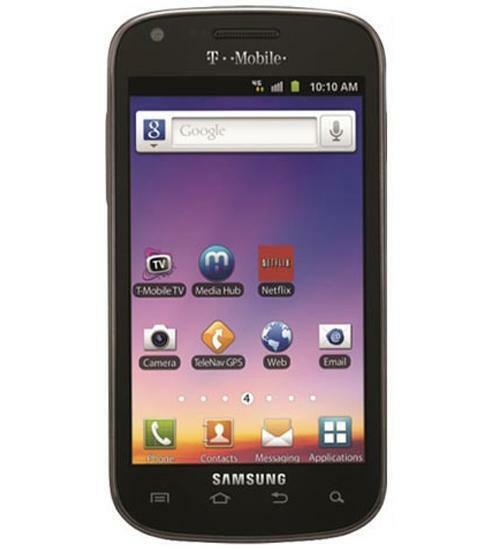 The new Samsung Galaxy S Blaze 4G for T-Mobile packs a lot of power and performance into a pocket- and wallet-friendly package. Closer to the S II series than it is to the original Galaxy S, the Blaze sports a fast dual-core processor and a pretty four-inch Super AMOLED display. In this video, Wirefly's Bob Kovacs shows the features of the Blaze and demonstrates its performance with a standard benchmark test. Samsung had a smash hit with its Galaxy S and Galaxy S II series of cell phones, and now there's a new member of this family: The Galaxy S Blaze 4G for T-Mobile. Closer to the S II series than it is to the original Galaxy S, the Blaze sports a fast dual-core processor and a pretty four-inch Super AMOLED display. In this video, Wirefly's Bob Kovacs unboxes the Samsung Blaze 4G to show what comes in the box.